Are you thinking about selling your home? We truly believe in the power of staging your home, and in fact, according to this Realtor.com article, staged homes sell 88% faster and for 20% more than their non-staged counterparts. There are three types of home staging that we can help you with. This is a totally vacant home! All the furniture and accessories were virtually staged. First is virtual staging. 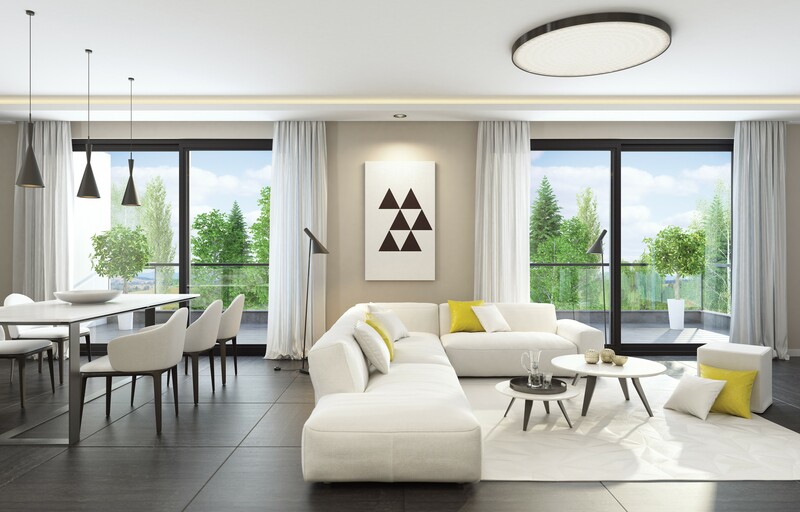 Virtual staging makes sense for vacant homes. What we would do is come to your home, take photos and send them off to a company that “virtually” places furniture in the photos. Normally we would virtually stage the main hang-out spaces, such as the family or living room, kitchen, rec room and dining room. We give the virtual stager the dimensions of each room, so that the furniture added to the photos is proportional to the space in real life. The second option is staging your home based on the furniture and accessories that you currently have in your home. We would come over to your home, go through room by room and give you suggestions on how to stage your home to appeal to the most buyers. For example, we might advise you to remove all magnets from your fridge, remove a big piece of furniture to make a room look larger, or set out towels in the bathrooms. Of course, don’t forget the basics–be sure the beds are made, counters are clear and laundry is put away. Hiring a professional staging company for full-service staging is the third option. They will assess your home, take measurements and photographs, and then make specific suggestions on how to showcase your home in its best possible light. A professional stager will use certain furniture and accessories that you already own and combine with pieces from their inventory to really make sure home shine. Give us a call at 703-822-0207 anytime if you are thinking about selling your home. We will be there every step of the way to make your sale a big success. We’d love to help you. Not ready to talk, but curious about what your home is worth? Click here for a free, custom home valuation.